A lot of the beauty products I own are practical; they have a certain job to do and they do it well (if they look pretty on the shelf then that's a bonus!). As I'm trying to save money for a house deposit (LOL), the amount I spend on beauty products for the hell of it has been significantly reduced, to the point where I never treat myself to anything new unless it falls within the 'practical/ I genuinely need this' category. So when the practical meets the fun and merges together within a beauty product, I'm going to be reeled in. 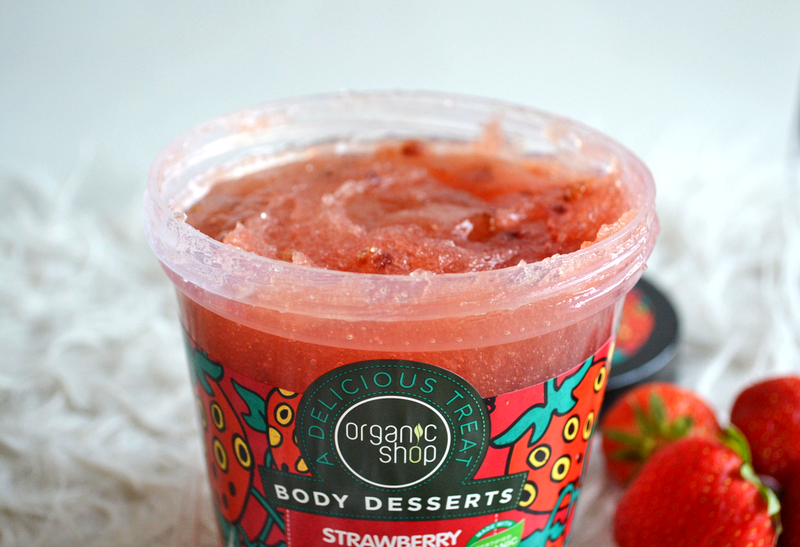 This is exactly the case with these scrumptious Body Desserts from The Organic Shop. 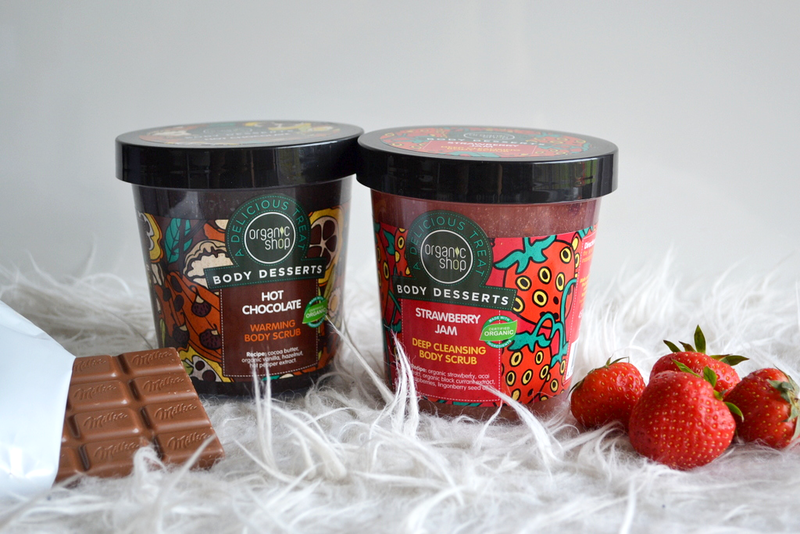 Anyone who know me or reads this site will know what a sweet tooth I have (hence why this blog is full of brownie recipes...I just can't resist them, ok), so when I heard about the existence of these Body Desserts I was like 'YES PLZ that's a bit of me'. 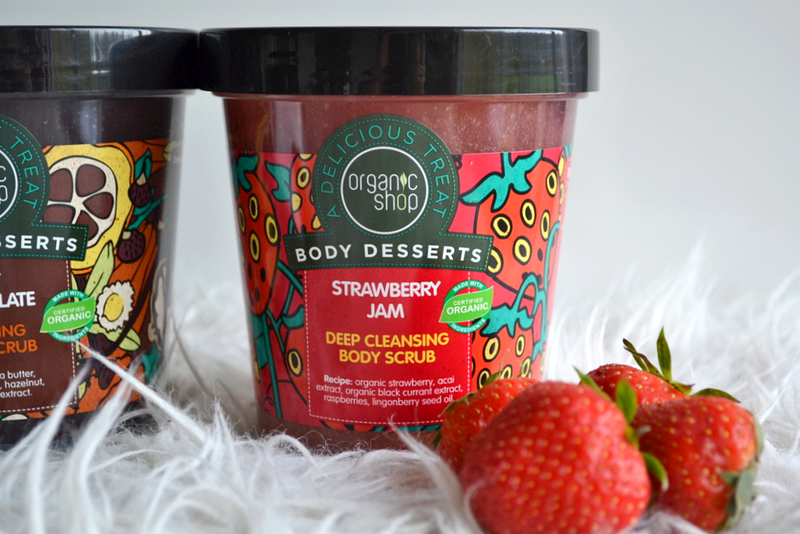 There are 17 different flavours within this range of body treats, including Candy Floss, Mango Sorbet, Hot Chocolate and Banana Milkshake, all offering a delicious fragrance that'll make you hungry whilst you shower and leave your skin feeling gorgeous. The range of treats feature scrubs, creams, bath foams, body mousses, and body souffles (which I never even knew were a thing)- I have been trying out a couple of the scrubs for the past few weeks and I genuinely haven't been this excited about discovering a new product in a long time. The packaging is cute and the product comes contained within quite a chunky pot; you get a lot of product for your money (450ml to be precise). The design is just really fun- a theme which runs throughout the whole range of Body Desserts. The scrubs themselves are lovely to use; the sugar within the scrubs is quite fine and does a good job at sloughing off dead skin cells without being at all too harsh. The formula ever so slightly foams to help protect against that harshness. I find during the colder months my skin gets a bit dry so using these scrubs once or twice a week have been a great help in keeping the scaly skin at bay. 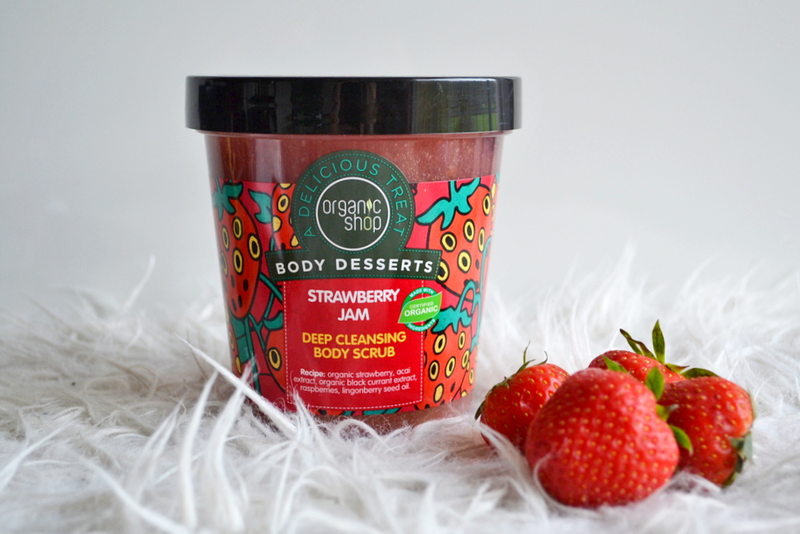 The Strawberry Jam scrub literally looks like strawberry jam and the scent is spot on- definitely not sickly sweet, which is what I thought it would be! 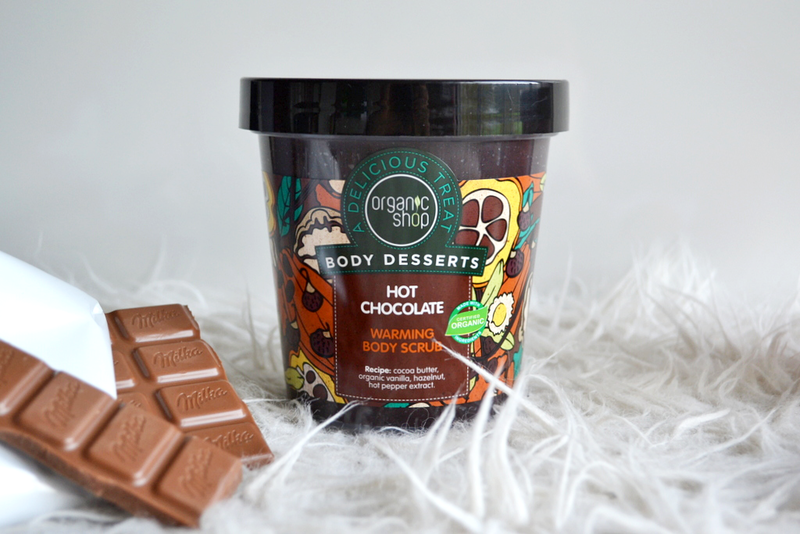 The Hot Chocolate is deliciously indulgent and rich, and also has a slight warming sensation- definitely an amazing gift for any chocoholic! These products do what they say on the tin; if you're looking for a body scrub or lotion that does the job, these are great. They're not overly sophisticated and I kind of love that about them. They go back to basics with the actual product, but for what they lack in state-of-the-art technology they 100% make up for in creativity. The products just put a huge smile on my face and make me feel excited to use them; this is something I've been missing from my beauty collection for so long. They're sweet, fun, imaginative and inexpensive, with prices ranging from £6.99 to £9.99- a fab present idea or treat for yourself! The products are suitable for both vegans and vegetarians too. You can check out the whole range here (I also think some products are now available to buy at Tesco!). 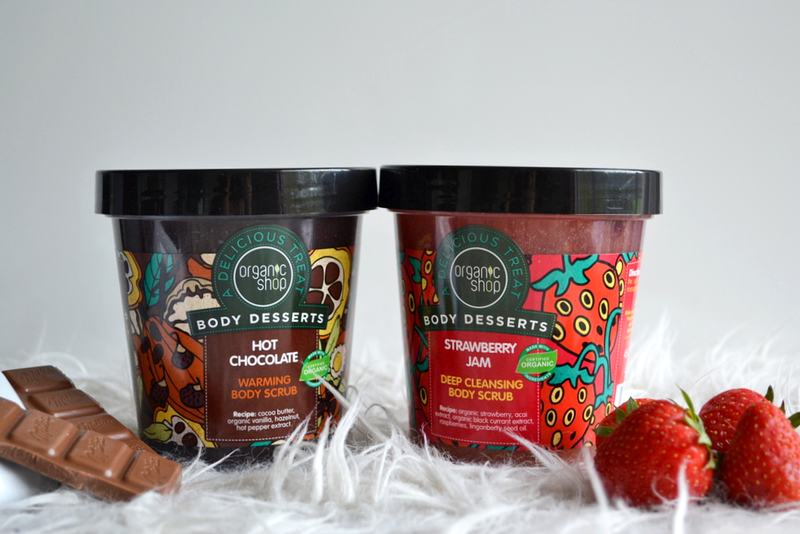 Do you like the look of these Body Desserts? Which flavour would you choose? These look like the coolest things ever!! I need the Strawberry one.